Post Malone is an American rapper, singer-songwriter, and record producer. 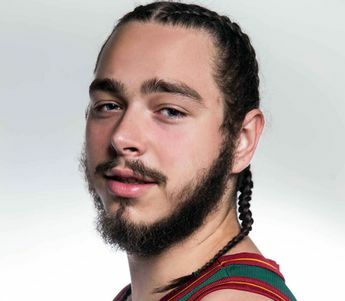 He is best known for his 2015 debut single “White Iverson”, which peaked at #14 on the US Billboard Hot 100. He released his debut mixtape August 26th on May 13, 2016, for free digital download. His debut album, Stoney, was released on December 9, 2016, and featured the hit singles “White Iverson” and “Congratulations”. His 2017 single “Rockstar” featuring 21 Savage peaked at #1 on the US Billboard Hot 100. Born Austin Richard Post on July 4, 1995 in Syracuse, New York, he moved to Dallas, Texas when he was 10 years old. He was raised by his father, Rich, and his stepmother, Jodie. He started playing the guitar at the age of 14 and created his first mixtape titled ‘Young and After Them Riches’ during his high school years. He was in a relationship with Ashlen Diaz. They broke up in November 2018. *He was born on July 4, 1995 in Syracuse, New York, USA. *He began playing guitar in 2009, and taught himself through YouTube videos. *He has a number of tattoos, including U.S. president John F. Kennedy on his arm. *Follow him on Twitter, YouTube, SoundCloud, Facebook and Instagram.